Las Vegas-McCarran International Airport is by far the largest and most important airport in the US state of Nevada. By annual passenger numbers and flights operated, the airport is one of the 20 largest worldwide. Besides McCarran, the smaller North Las Vegas Airport is also in the greater Las Vegas region. This airport is used mainly for sightseeing tours. 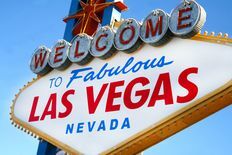 The most popular destinations from Las Vegas are flights to Los Angeles and San Francisco. The airport is on State Route 171, which can be reached on the Interstate I-215 at exit 9-11 or on the Interstate I-15, exit 36. Yes; there are paid short and long stay parking lots at McCarran Airport.